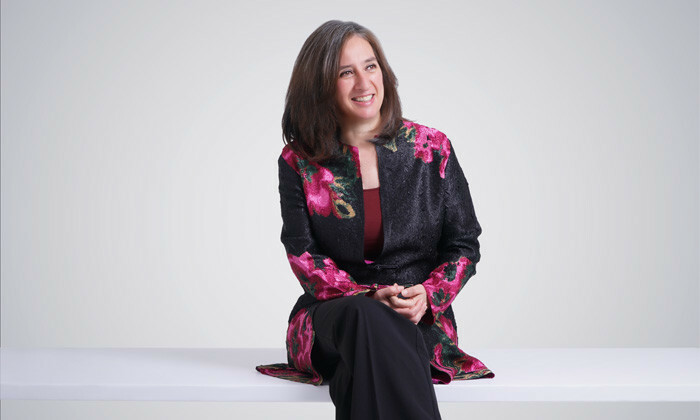 Vital Stats: Claudia Cadena has more than 25 years of professional experience in the human resources field and has performed strategic, operational and advisory roles throughout her career. She has a special interest in strategic talent management, organisational transformation and culture/change management. Her industry experience covers airlines, telecommunications, commercial and investment banking, conglomerates, oil and gas. She has spent the past 21 years in Malaysia and is currently a permanent resident. She has two teenage sons and enjoys travelling and acrylic painting in her free time. Q I understand you joined Malaysia Airlines as a consultant for its restructuring management office. What was the first 100 days like? 1. Talent selection: We developed a talent assessment framework and infrastructure which enabled us to evaluate 20,000 individuals and select approximately 14,000 who were the most suitable based on knowledge, capability and experience to join the new company. 2. Terms and conditions of employment: We needed to develop these to be offered by the new company to employees in Malaysia and in other countries of our operations. The development of comprehensive and competitive packages was considered critical to the company’s ability to attract the right calibre of employees to commence operations as a new company. We undertook extensive benchmark efforts to understand what others in the industry were offering to design packages that were attractive and financially sustainable. 3. Communication and transition management: We spent a considerable amount of time and effort in ensuring employees were informed and updated on the progress of the restructuring. We developed detailed communication materials, FAQs were published on a regular basis, and had a call centre set up to enable employees to seek clarification at specific time frames considered to be the most critical during the process. We had very tight timelines to accomplish all of the above. I joined in October 2014 and by 1 June 2015, we issued relevant termination and offer letters to employees across the world. This was only possible due to the team effort between the appointed consultants who brought their external and industry perspective combined with project management capability; the MAS employees who brought their understanding and knowledge of how the company operated; and myself who brought content and execution ability to put in place the required changes. Q In case where someone’s salary decreased, how did you communicate that to such employees effectively? First, it is important to clarify that individuals were issued employment offers by a newly established company, so they were at liberty to accept or decline. From our perspective, we had ensured we did our market benchmark study so that we were able to make competitive offers. We had an over 98% acceptance rate. In many cases, employees accepted offers which were lower than what they were earning in the past. We communicated with them to explain the way in which packages were defined. We wanted them to understand that if they approached other companies to apply for similar jobs, they would be offered salaries at the level we were offering. Employees were also made aware of the importance of the adjustments which were made in order to ensure long-term business viability and sustainability. Everything that was done around the rebalancing of salaries and benefits was done with a view of ensuring not only market competitiveness, but long-term sustainability. Everything that was done around the rebalancing of salaries and benefits was done with a view of ensuring not only market competitiveness, but long-term sustainability. Q How did you communicate the restructuring changes to employees? Communication has been done in different ways and at different times. During the strategic phase, when the restructuring team was undertaking the definition of the business model, manpower planning, rewards strategy and implementation planning, there was very little information flowing to employees. At this stage, what was critical was to get the fundamentals of the new company right. We were not able to share information with employees and this in itself was a significant challenge, as employees knew the restructuring plan was being developed, but information was not readily available. This created dissatisfaction, and at times, speculation. Notwithstanding this, we needed to keep control of the information flow, as what was most important was to obtain shareholders approval of the entire plan before we were able to share it with employees. Once we secured approvals from our shareholder, Khazanah (Malaysia’s national investment fund), we proceeded to deploy a very comprehensive plan of communication, which will continue in place until we achieve the desired objectives. The first step in this transition management process was to embed the restructuring team within the organisation, as this would secure buy-in, understanding and strict oversight on execution. The most important communication effort in terms of scale and impact was undertaken when every employee was issued letters informing them of the termination by the old company and the offer by the new company. This was a massive logistical exercise that required precision in execution to ensure relevant information in a timely manner. All employees received a termination letter informing them of the package they were entitled to due to the cessation of their employment. Approximately 20,000 employees received two letters each. Some employees were not offered employment by the new company. They were given a letter informing them of the availability of services provided for reskilling, entrepreneurial efforts or employment search by the Corporate Development Centre, for assistance to secure new employment. Some employees were offered employment with the new company and they received an offer of employment which they needed to accept or decline by a given dateline. At the time, we deployed very aggressive and comprehensive communication efforts as we needed to ensure people were clear about the letters, what they meant and the actions they needed to take. We also needed to help employees in managing their emotions and changes which would be brought about by the business restructuring. For this purpose we put in place a dedicated call centre so they could call to seek advice or simply have someone to talk and share their feelings with. 1. Malaysia Airlines restructuring plan (MRP): Khazanah published what we called the 12 MRP points clearly articulating the overall objectives which were intended with the restructuring efforts. This is the framework against which we will measure and communicate our achievements and progress to all relevant stakeholders – from the government to employees to customers. Quarterly updates are issued internally and externally on how we are doing. 2. Town halls and CEO briefings: Our CEO and the top management conduct monthly briefings to employees so that we are kept informed of achievements and challenges ahead of us. This keeps all of us focused and motivated towards our restructuring targets. 3. Leadership walkabouts: On a quarterly basis, top management conduct visits to different parts of the business, including stations, to provide employees who are not based at HQ with the opportunity to listen directly from the leaders and to ask questions. This also enables the leaders to see for themselves some of the possible challenges that may need to be addressed to improve the working conditions and business environment. 4. Documented information: When we needed to explain in detail decisions taken, and when we knew that many people would have similar questions, we put together information and frequently asked questions with answers so that we could deliver consistent messages across the entire organisation. As we may not be able to personally reach every single employee in person, we make sure the information is available in different means so they have access to it and can reach it when needed. 5. Training programmes: Communication, information and change management takes place through T&D interventions. We use scheduled training programmes, either technical or leadership classes, to infuse information around our new culture, values and expectations. This is another way to reach as many employees as possible. 6. Newsletters and email blasts: We also use traditional media in dual languages (English and Bahasa Malaysia) to cascade information, as we have many employees who may be more comfortable reading Bahasa Malaysia than English. 7. Employee involvement: To secure higher levels of acceptance and participation we involved employees very early in the restructuring process in defining our corporate values and desired behaviours. We did not want this to be done at the top without consultation. We undertook a comprehensive interactive process which involved workshops, surveys and focus groups until we were able to finalise our corporate values. Q Even after the restructuring and criticism, I notice that Malaysia Airlines Berhad has quite a strong reputation among Malaysian job seekers. What helped it achieve such a strong employer brand? The way people feel for Malaysia Airlines at times can’t be explained in words. Malaysia Airlines is a home-grown brand which has been ingrained in the life of many Malaysians for a very long period of time. Many families have served this company for generations, and it has enabled many life-long careers. Many people with whom I speak to tell me they developed an affinity and loyalty to the brand from the time they were small, and they used to go to the airport just to watch planes take off and land. This is something that not many companies enjoy. We treasure and are proud to know this is how many Malaysians feel about us. We, however, can’t be complacent. There are strong competitors out there who will capture the hearts and minds of prospective customers. So we need to ensure we build on our strengths and show our customers what our value proposition is and how everything that we are doing during our restructuring is to serve them better and to ensure their highest level of satisfaction with our service. As an employer, we need to ensure we strengthen our brand so that we are able to attract the right talent and for the right reasons. It is not the easiest time to attract people to join the company when it is undergoing a business restructuring. However, what I see is the talent pool which comes to us is well aware that as a company we may not be currently profitable, but they are willing to take the risk as they want to be part of the team that turned around the organisation and re-established it as a profitable and sustainable business. As an employer, we need to ensure we strengthen our brand so that we are able to attract the right talent and for the right reasons. Q How did you get this message out to potential employees? We anchor our transformation on the Malaysia Airlines restructuring plan, which revolves around 12 priority areas to achieve our turnaround. Our CEO is a huge advocate for transparency and communication, and we regularly communicate to our stakeholders (customers, employees, shareholders, or the nation at large) about what is going on. By doing this, people understand our progress. As a result, we get a lot of people contacting us and offering their services to help in the restructuring process. We could have taken the decision not to communicate externally and proceed with our transformation without offering updates to the public. However, in consideration that Malaysia Airlines is such a prominent brand and that its turnaround is being financed through public funds, we have an obligation to our stakeholders to update and inform them of our progress. It is also important to note that when you choose not to communicate, someone will fill in the blanks. This would not serve our objective of giving confidence to our stakeholders that we are going in the right direction towards profitability and transformation. At times, even if the news is not good, it is best to openly share it and provide our perspective on the facts. Q From transformation to branding and talent management, what are the things companies can learn from you? The most important lesson that companies can learn from the Malaysia Airlines’ journey is that every business decision taken needs to consider the long-term implication for people. Every recruitment, promotion or salary increment action has a financial impact to the company and must be taken considering not only affordability, but long-term sustainability. We in HR play a critical role in challenging business leaders around people decisions. At times when they ask for more people, we are too quick to agree to recruit more talent, instead of questioning the business’ ability to review or re-engineer a process, reduce bureaucracy, automate or improve the skills of the existing team. By asking the difficult questions, we will ensure that we make the right business decisions. 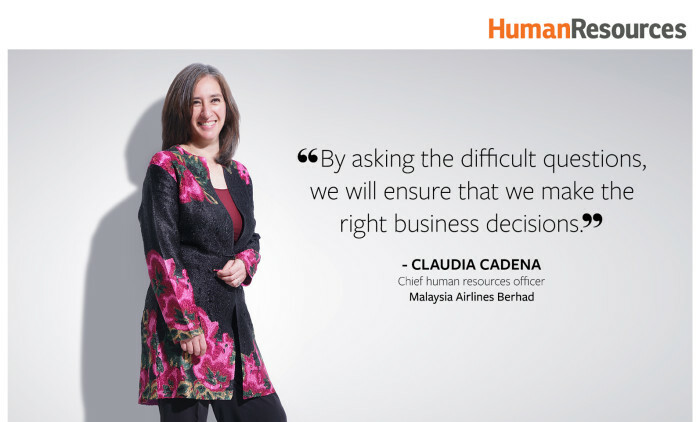 Q What do you think the future of HR in Malaysia Airlines looks like? I think the future is bright. My team and I are ourselves are going through this journey of transformation. As the team that is responsible for supporting our employees, we are faced with the challenge of changing at a faster pace. Which I believe we have done. As with every transformation, people go through an initial stage of resistance and negativity. We have passed this stage! We are now seeing a more positive outlook in which people are coming together as a family to put our energy towards realising the business transformation. We must continue putting in place the HR infrastructure that will enable us to become an employer of choice. We must strive to innovate constantly. This will keep us relevant and will allow us to actively contribute in this exciting journey.